When Nissan decided to make a very small, very odd-looking crossover, things could have gone very wrong. Remember the Cube? No? Exactly. 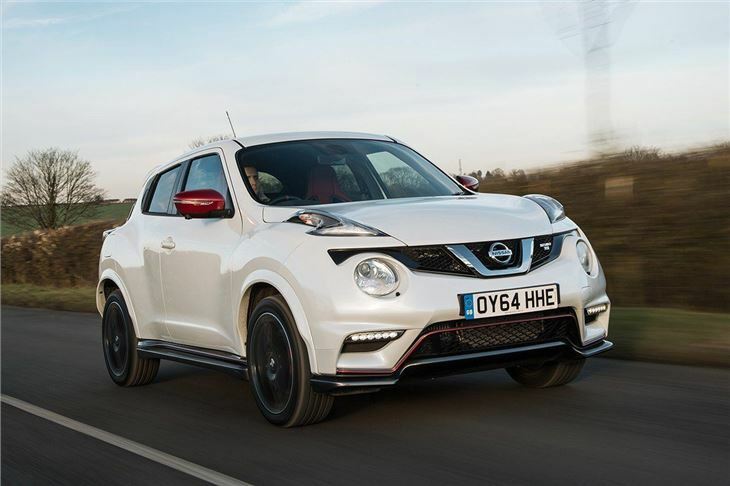 But, despite its quirky looks, the Juke has been a big success for Nissan - so a high-performance Nismo variant was no real surprise. 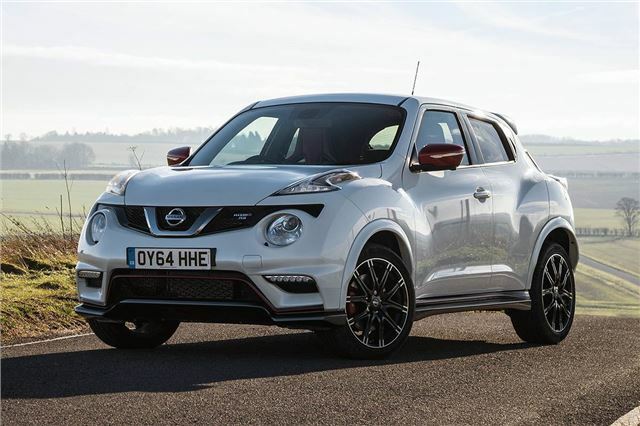 And now you can get one that’s even hotter still – the Nissan Juke Nismo RS. The £21,995 Juke Nismo RS is powered by a 1.6-litre turbocharged petrol engine producing 218PS – 18PS up on the earlier Juke Nismo. 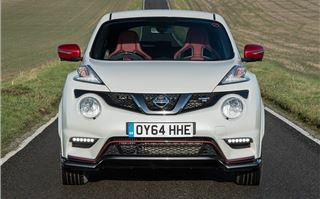 It also gains a new front limited-slip differential, bigger brakes and a new suspension arrangement. 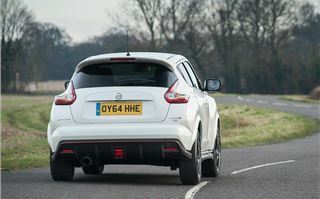 That’s on top of the beefy styling, which includes red details, plus chunkier bumpers and a larger spoiler. It certainly looks the part. Unfortunately those looks don't translate to performance. 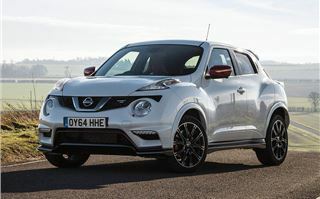 It doesn’t feel particularly swift on the road and the engine lacks the immediate, responsive shove offered by cars like the Ford Fiesta ST or Vauxhall Corsa VXR. 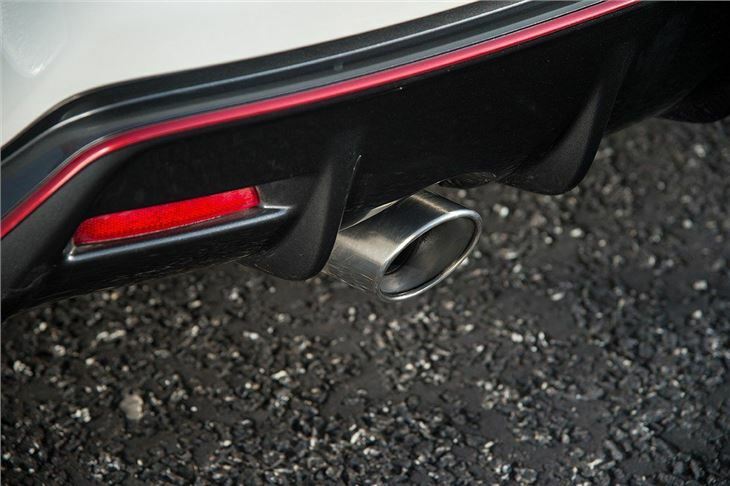 It doesn’t sound great with a droning, tiresome and fairly loud exhaust note. And when it comes to economy you're looking at an unremarkable claimed 39.2mpg with emissions of 168g/km. 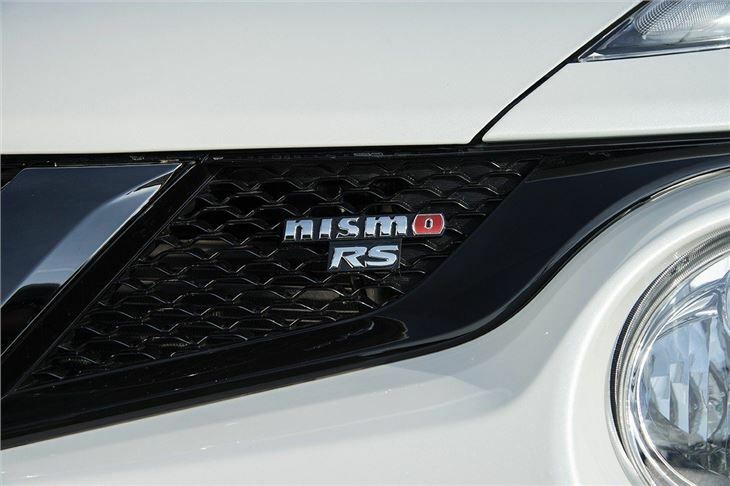 Has Nissan dropped the ball here? It certainly seems so. The steering isn’t as nicely-weighted or as precise as you’d find with more conventional hot hatch rivals, despite the addition of a new front differential system. 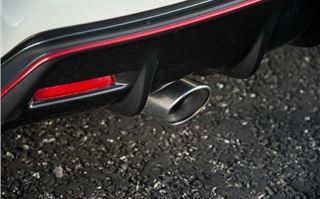 This is designed to keep the car travelling where the wheels are pointed, but it has a habit of tugging the steering wheel in the direction of ruts in the road when the throttle is open. 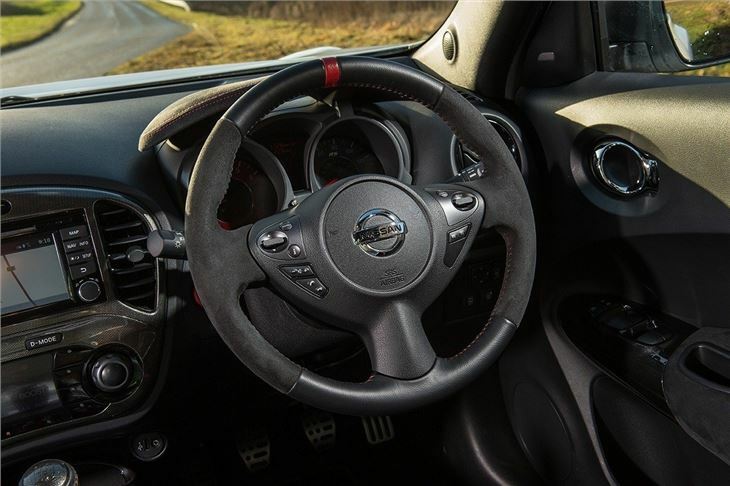 It can’t tame the tendency for the steering wheel to squirm left and right under hard acceleration, even in a straight line and it’s very easy to spin the front wheels when pulling away. 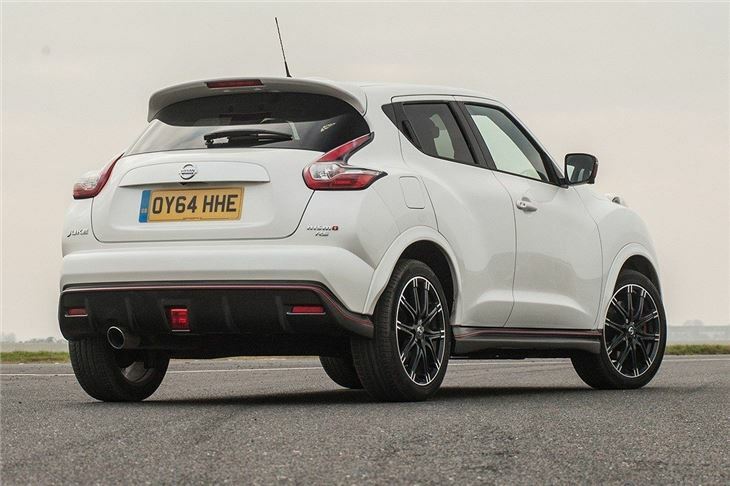 Some people will appreciate this unruly character, of course – but the Juke Nismo just feels a little bit ham-fisted next to the finesse of the Ford Fiesta ST or the capable Peugeot 208 GTi. You can choose between an all-wheel drive CVT automatic or a six-speed, front-wheel drive manual as tested here. The CVT isn’t really the ideal companion for a performance car and it has slightly less power and torque so, despite the lack of all-wheel drive, we’d stick to the manual variant. The gearchange itself isn’t the slickest around, but it’s not exactly a chore. 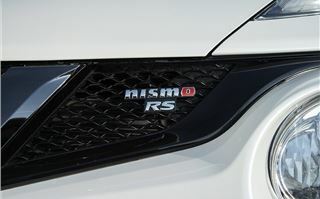 On the plus side, the ride quality is surprisingly good for a performance-focused car, providing impressive suppleness over undulating and rough roads, despite a very good level of body control. 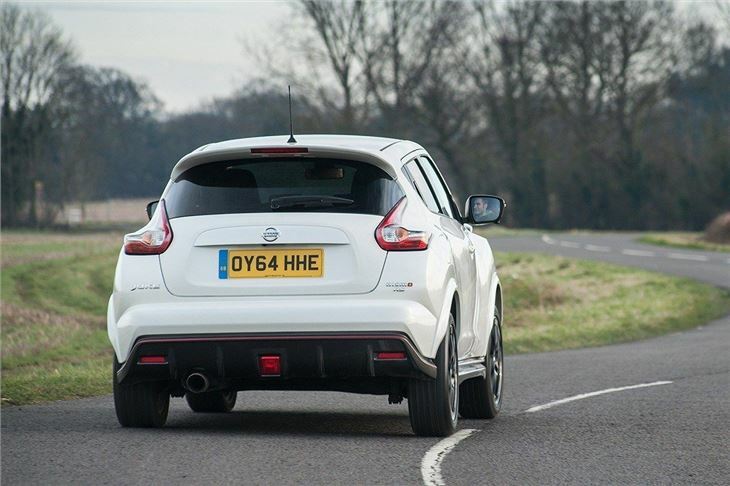 Through bends the the Juke Nismo RS remains fairly flat even at high speed, which is a pleasant surprise for a car with such a high ride height. 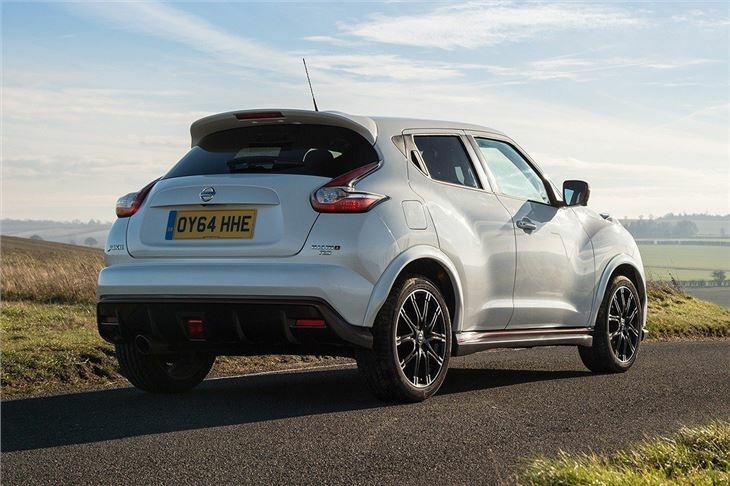 Still, there isn’t anything quite like the Juke Nismo RS in the world of hot hatches, so if you want something unconventional those flaws might be easily forgiven. 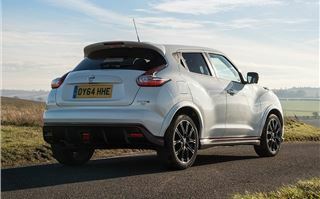 You probably shouldn’t pick the Juke based on its practicality though. 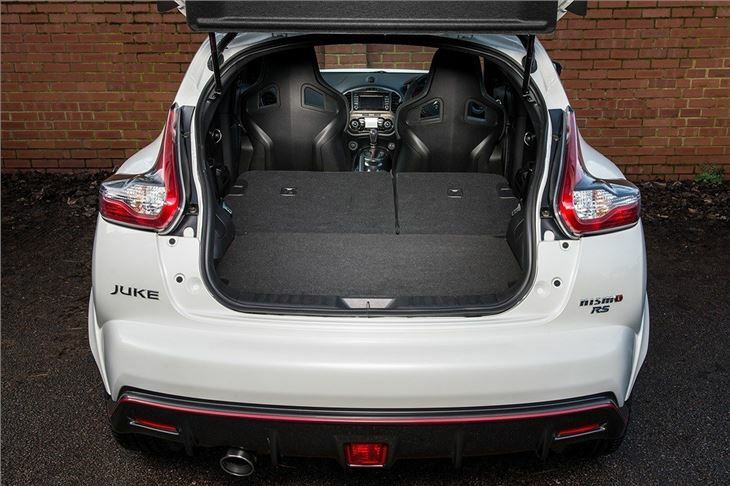 It might be a crossover, but it’s about as small as they come, with fairly tight back seats. 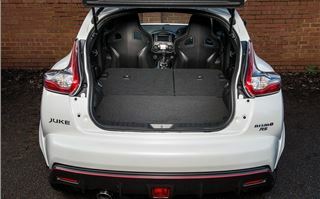 The boot isn’t too bad compared to conventional hatchback rivals at 354 litres, so there’s enough space for shopping or small cases. It’s not great, though – that capacity includes some less than useful space under the load floor, while load deck is high up and makes loading and unloading heavy items tricky. It might be big compared to a hatchback, but it’s not great compared to other crossovers like the admittedly less sporty Suzuki Vitara. There is room for improvement when it comes to material quality too. 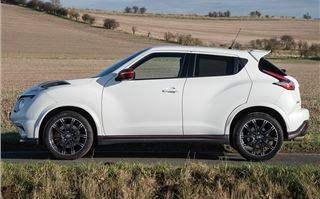 The dashboard and doors are finished in a durable plastic, but there are no plush, soft-touch materials to be found in the Juke. Some of the switchgear feels cheap and tacky too, like the controls for air-conditioning. On the up side the seats are nicely trimmed, supportive and heated. There is a good level of kit. Inside there is suede seat upholstery, a touchscreen system, climate control, navigation and smartphone connectivity. The responsive touchscreen system is the highlight in the cabin, being intuitive and easy-to-use, even for typically complicated jobs like pairing up a new phone. 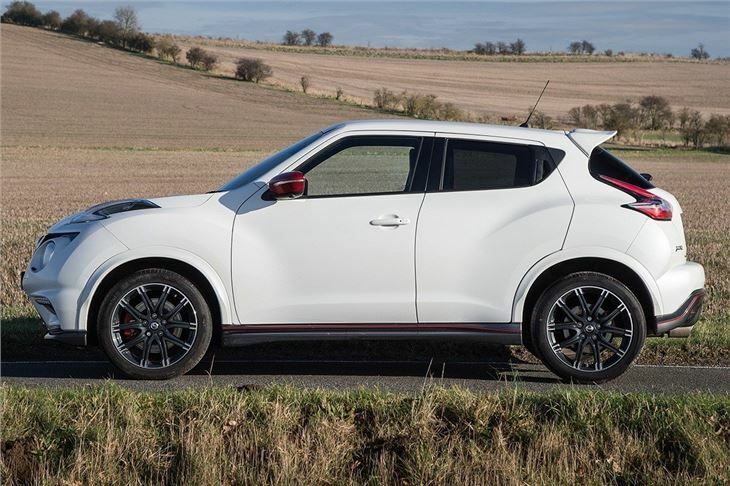 Even after more than five years on sale the Juke still stands out – and the Nismo RS version is the boldest variant of the lot. It can be a lot of fun in a lairy, unsophisticated sort of way. 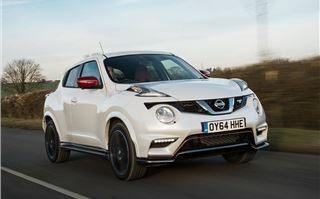 But there is no escaping the fact the Juke is a crossover first and a performance car second. 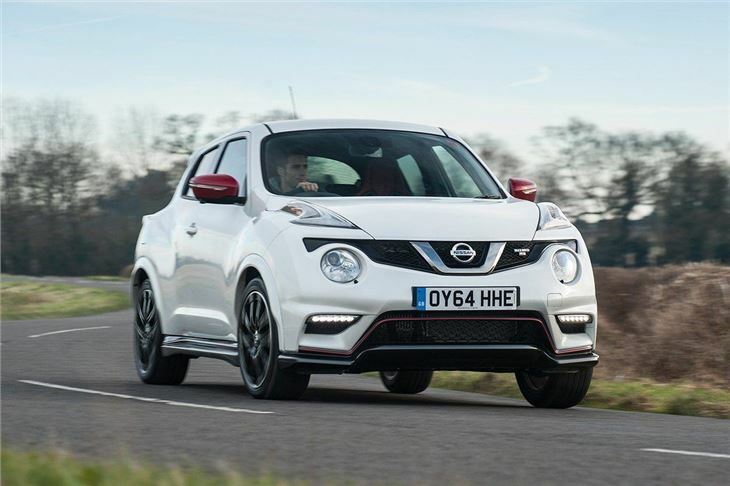 Hot hatches like the Peugeot 208 GTi and Ford Fiesta ST are more fun to drive and cost less to buy.